Since 2006, our organization Vishvesh Glasses Private Limited, is leading name in the market for manufacturing, supplying, distributing, wholesaling and trading of variety of glasses to the customers. Our comprehensive product line comprises Toughened Glass, Glass Bricks, Double Glazed Unit, Tinted Float Glass and Architectural Glass Fittings. 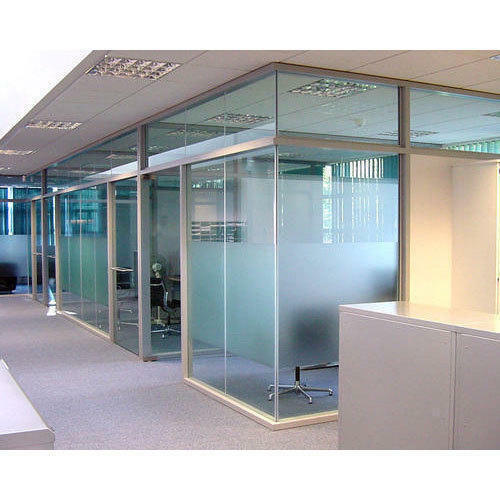 However to accomplish varied needs of our customers, we also offer Glass Films, Low - E Insulated Glass, Insulated Glass, Reflective Glass, Float Glass, Bend Glass etc. Manufactured from high-grade raw material, the products show superior features such as resistance against breakage and easy to clean. The range is offered by us in attractive designs and patterns, which add to the aesthetic appeal of surrounding, wherever these are placed. Duly tested and verified for quality, these products can be availed from us at market leading prices. Apart from this we also provide Glass Fitting Job Work, Glass Cutting Job Works, Glass Designing Job Works Service etc, to our valuable clients. We are empowered by an advanced infrastructure in the industrial state of Gujarat. Our manufacturing facility consists of all sophisticated and ultra-modern equipment, required to manufacture high-end products. Owing to our swift rate of production, we have become capable of delivering the products on-time. The raw material utilized at our manufacturing base is procured from the trusted vendors of the market. However, in compliance with our quality assurance policies, we check the raw material on our side before the production phase. A team of skilled and hardworking professionals take all possible measures to ensure that a flawless range is dispatched from our disposal towards the clients destination. Also, our teammates are competent in offering customized products in order to serve our clients, better.